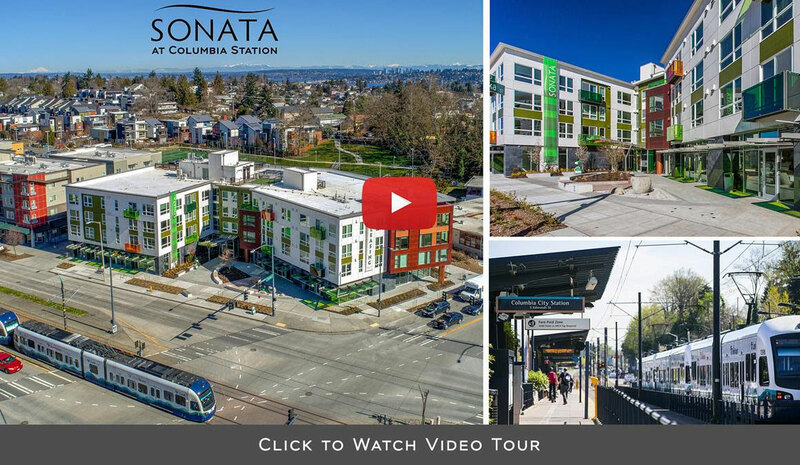 Discover convenient urban living at the fresh new Sonata Apartment community in Seattle’s vibrant Columbia City neighborhood. Situated across the street from the Columbia City Light Rail Station, downtown Seattle and Sea-Tac airport are just a short ride away. Sonata is comprised of 91 modern apartment homes, including studio, one-bedroom, and two bedroom units. This mixed-use building also features ground floor retail and secure garage parking. The Sonata Apartments offer unique community amenities including a heated bike storage room, on-site storage units, a residence movie theater room, club room, and a roof-top terrace complete with outdoor fireplaces, BBQ’s, and TV’s! BDR Commercial LLC is a wholly owned subsidiary of BDR Holdings LLC, a diversified real estate company specializing in innovative housing projects throughout the Puget Sound region.